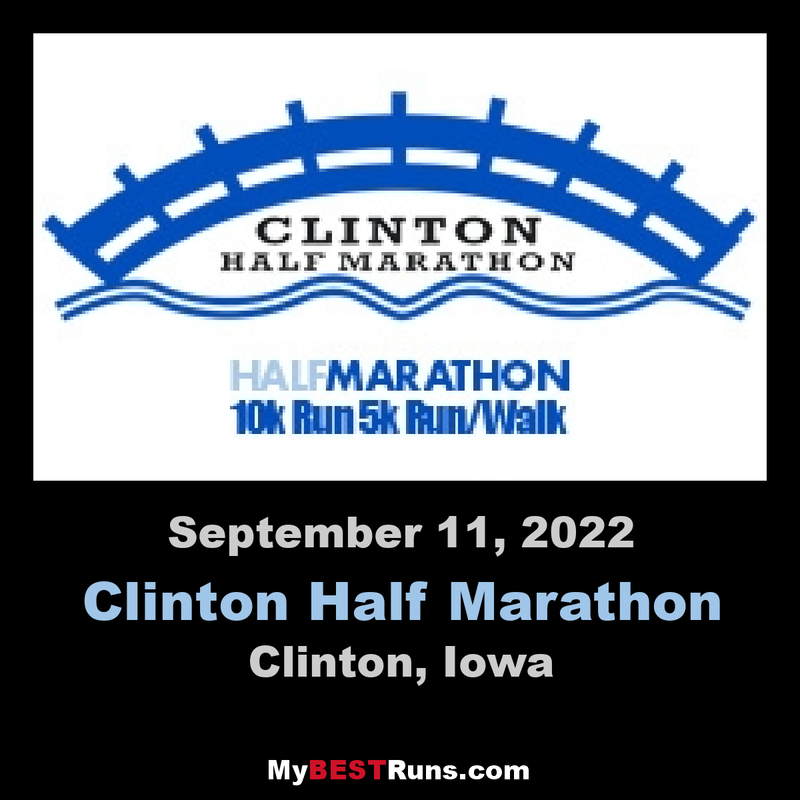 Located in scenic Clinton, Iowa, runners can choose a race distance of 5k, 10k, or the Half Marathon. The race starts along Riverfront Drive, paralleling the mighty Mississippi, with challenging hill climbs leading to a majestic overlook of the widest part of the Mississippi River! This will be one of the most exciting racing experiences of the season! The race starts along Riverfront Drive, paralleling the mighty Mississippi River, followed by challenging hill climbs then leading to a majestic overlook of the widest part of the Mississippi River! 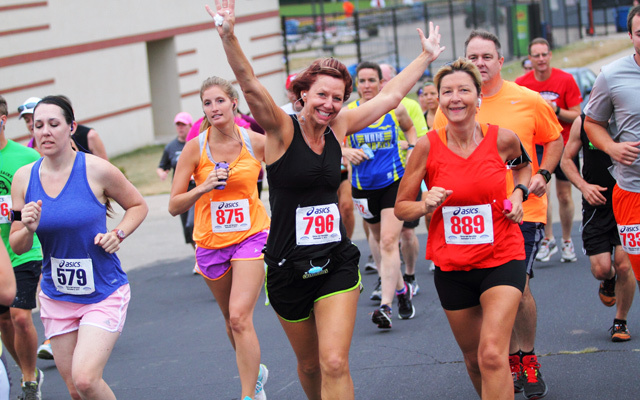 Once you have finished, enjoy the HyVee post race party set in Ashford University Field; home of the Clinton LumberKings professional baseball team. This challenging half marathon course will reward runners who have the patience to wait and punish those who start off too fast. For the first two miles, the course runs alongside the Mississippi River and through downtown Clinton. A gradual climb begins just prior to Mile 2 and continues up to Mile 3, winding through a quiet residential neighborhood. After turning onto 13th Avenue North and cresting another short hill, runners will be rewarded with a scenic view of Clinton, the Mississippi River and the County Courthouse. On the ensuing downhill runners will be greeted by spectators at Mercy Hospital and spurred on by the flat section heading North on Pershing. Shortly after Mile 5, the real fun begins. Once across Main Avenue the course features another gradual ascent through Clintons historic Lyons residential district. This grade continues along Pershing and as the road ends, the course proceeds along the recreation path up a short but challenging hill. As the path snakes through Eagle Point Park, runners will be greeted with live music and a festive bunch from one of our sponsors. This section of the course also presents some challenging rollers as well as breath taking views of the Mississippi River. Make sure to smile for the photographer as you pass by Eagle Point Lodge. After exiting Eagle Point Park, the rest of the course, with one small exception, is all downhill. After returning to the end of Pershing, runners will turn right, left and left again, where the finish line will come into view. Patient runners who have paced themselves will be rewarded with a fast finish. After turning onto 13th Avenue North and cresting another short hill, runners will be rewarded with a scenic view of Clinton, the Mississippi River and the County Courthouse. On the ensuing downhill runners will be greeted by spectators at Mercy Hospital and spurred on by the flat section heading North on Pershing. Shortly after Mile 5, the real fun begins. Once across Main Avenue the course features another gradual ascent through Clinton's historic Lyons residential district. This grade continues along Pershing and as the road ends, the course proceeds along the recreation path up a short but challenging hill. As the path snakes through Eagle Point Park, runners will be greeted with live music and a festive bunch from one of our sponsors. This section of the course also presents some challenging rollers as well as breathtaking views of the Mississippi River. Make sure to smile for the photographer as you pass by Eagle Point Lodge. After exiting Eagle Point Park, the rest of the course, with one small exception, is all downhill. After returning to the end of Pershing, runners will turn right, left and left again, where the finish line will come into view. Patient runners who have paced themselves will be rewarded with a fast finish.